​The defending Stanley Cup champion Chicago Blackhawks released veteran NHL players Lubomir Visnovsky, Tomas Kopecky and Daniel Paille from their professional tryout contracts on Monday. ​The defending Stanley Cup champion Chicago Blackhawks released three veteran NHL players from their professional tryout contracts on Monday. Defenceman Lubomir Visnovsky and forwards Tomas Kopecky and Daniel Paille are free to sign elsewhere with the 2015-16 regular season fast approaching. 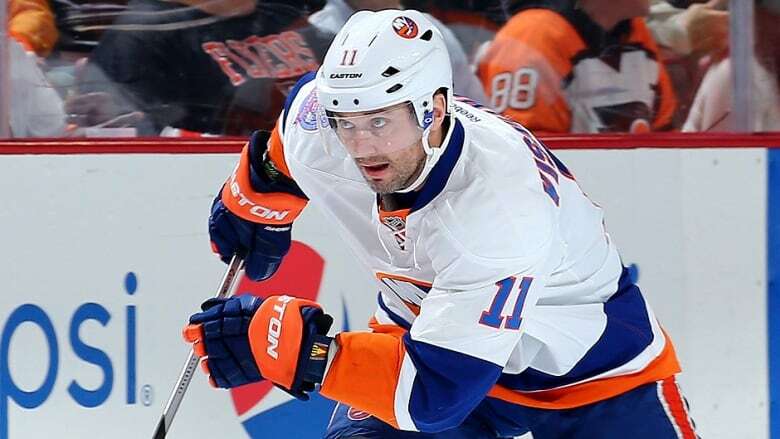 The 39-year Visnovsky spent the past three seasons with the New York Islanders and is coming off a five-goal, 25-points campaign in 53 games. He added two assists in four playoff contests. Kopecky, 33, was hoping for a second stint with the Blackhawks, with whom he played for two seasons and won the Cup in 2010. Chicago traded him to Florida after Kopecky set career highs with 15 goals and 27 assists in 2010-11. The 33-year-old right-winger played the last four seasons with the Panthers, compiling eight points and minus-19 rating in 64 games last season. The six-foot-three, 210-pound Slovak has 68 goals and 174 points in 578 NHL regular-season games. Paille, 31, has played for Buffalo and Boston the past 10 seasons, collecting 85 goals and 172 points in 570 outings. The Welland, Ont., native helped the Bruins to the 2011 Stanley Cup championship and last season had 13 points and a minus-9 rating in 71 games.